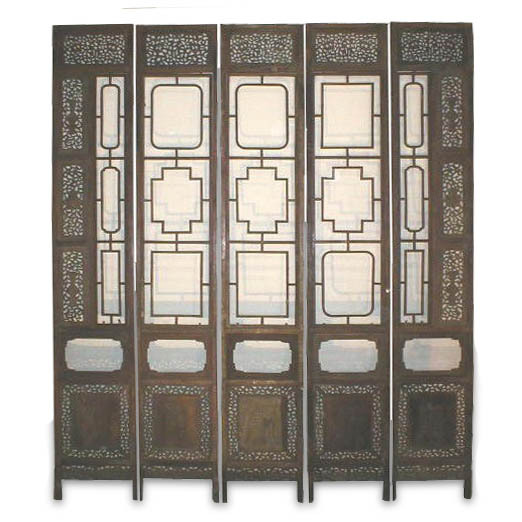 HUA-01 This special set of old Chinese Huanghuali tall screens （明式黃花梨兩面透雕高隔屏五扇）is very special because of its size and its design. 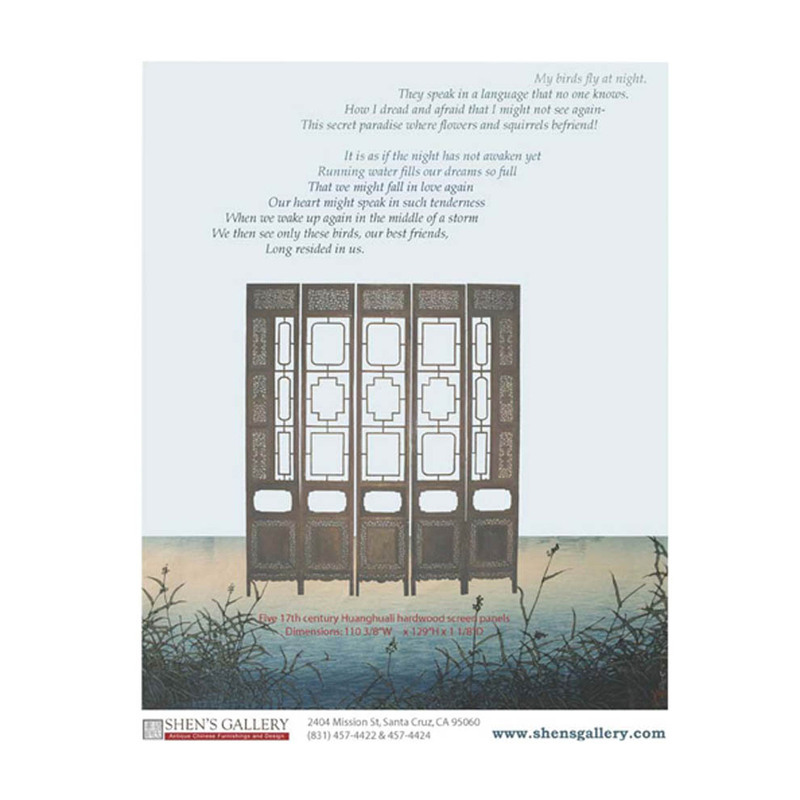 Unlike most of other Huanghuali screens that often are elaborately and ornately carved, this set of screen displays an unusual elegance with cultivated literati taste. The original set probably contains many more panels as a room divider. We are happy that the remaining set here contains both of the end panels on the right and the left to form a smaller set. 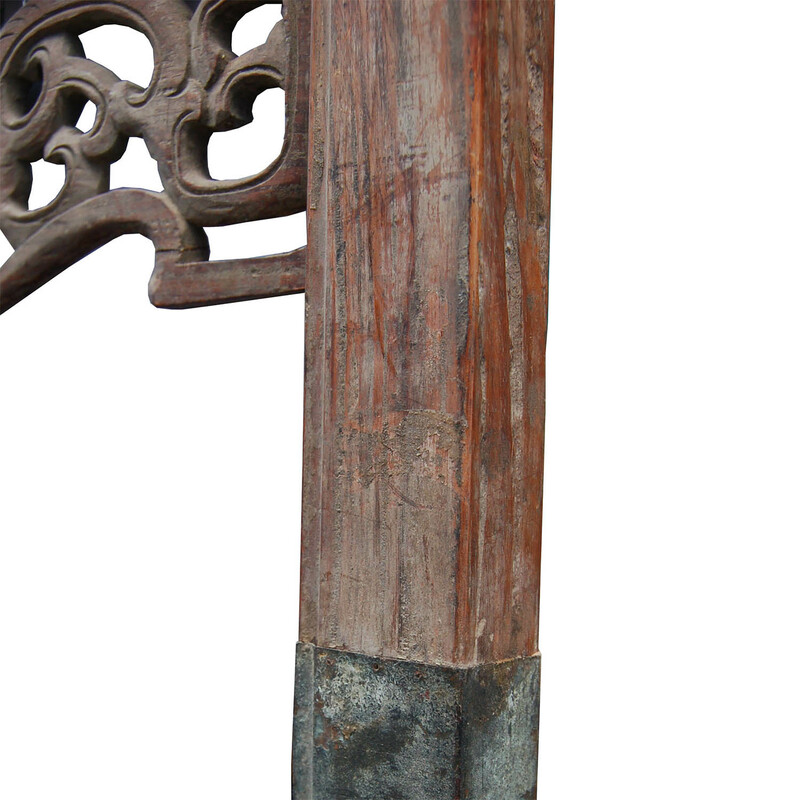 This set of screens, though has some repairs and replacements, is largely made of superior quality Huanghuali wood with its deep red color and dark grain, cut from the center of the tree, that the grain is very visible. 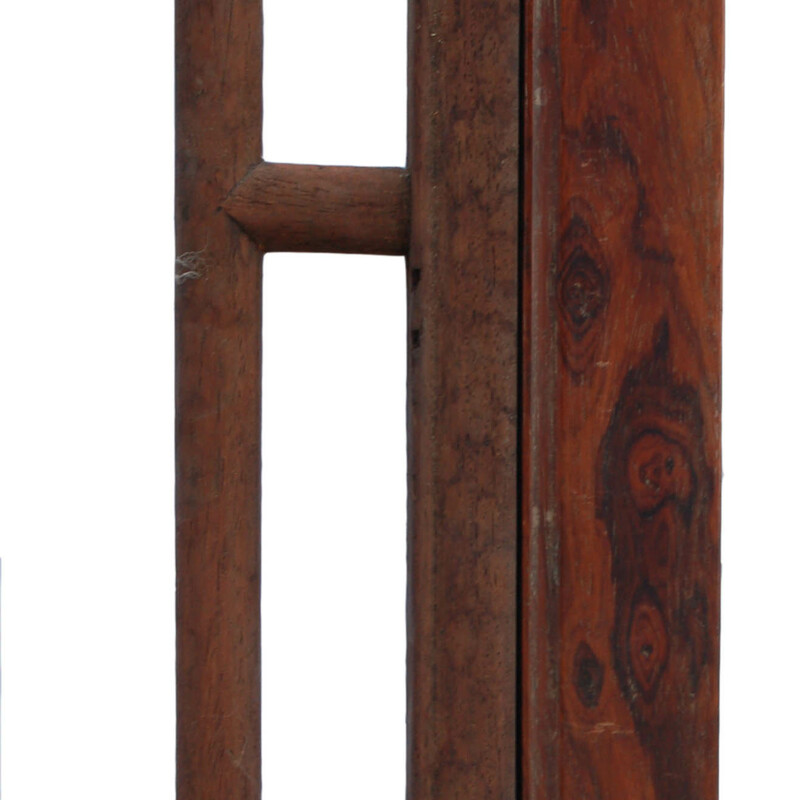 It still retains its original natural patina of the beautiful wood without additional finish. Its dimensions are 110 3/8” W x 129” H x 1 1/8” D for the five panels together. Because these screens are so tall, yet so thin, I suspect that the original set of the screens might have been used as a room divider connected on the two sides to the building or the room because it would not have stood well on its own with such dimensions as a free-standing screen set or that it could easily be knocked down if not careful, and obviously the maker of the screens, with such elaborate length and quality of the precious wood, did not make the screens to not function well for its purpose. 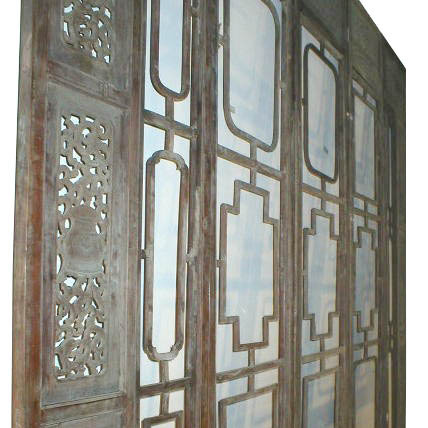 Also, the carvings on these screens are carved exactly the same on the front and the back, which further confirms its usage as a room divider. Further more, the carvings are in the open work design. 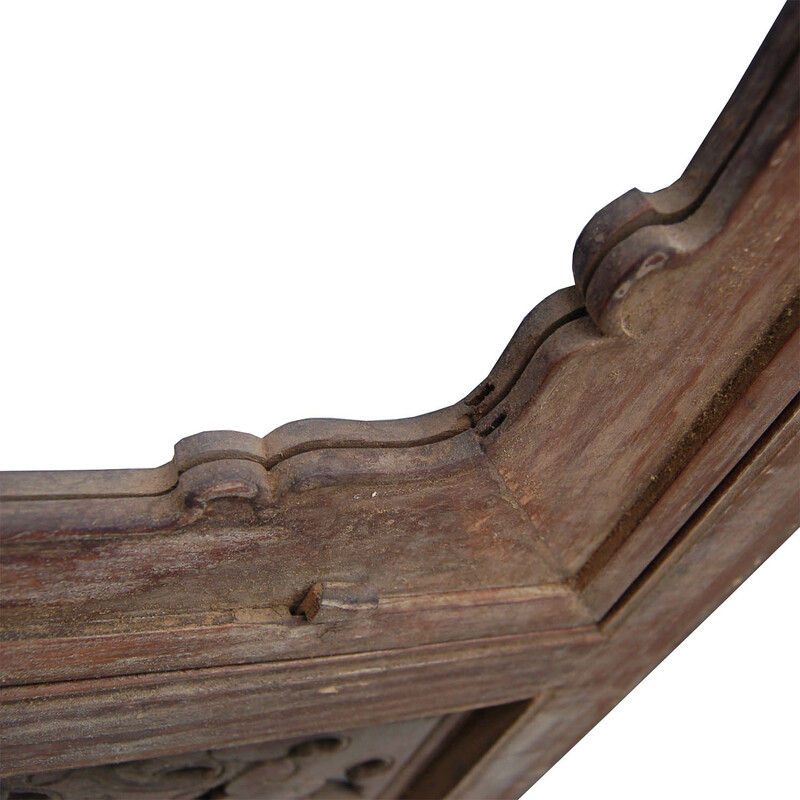 The owner of theses screens obviously did not mind the waste of this precious wood when carved in an open work design, rather, was after its artistic result. Detail photos below show the refine and tasteful execution of the carvings. What kind of building or room will use screens like these? Who was the owner of this room or building with such taste? 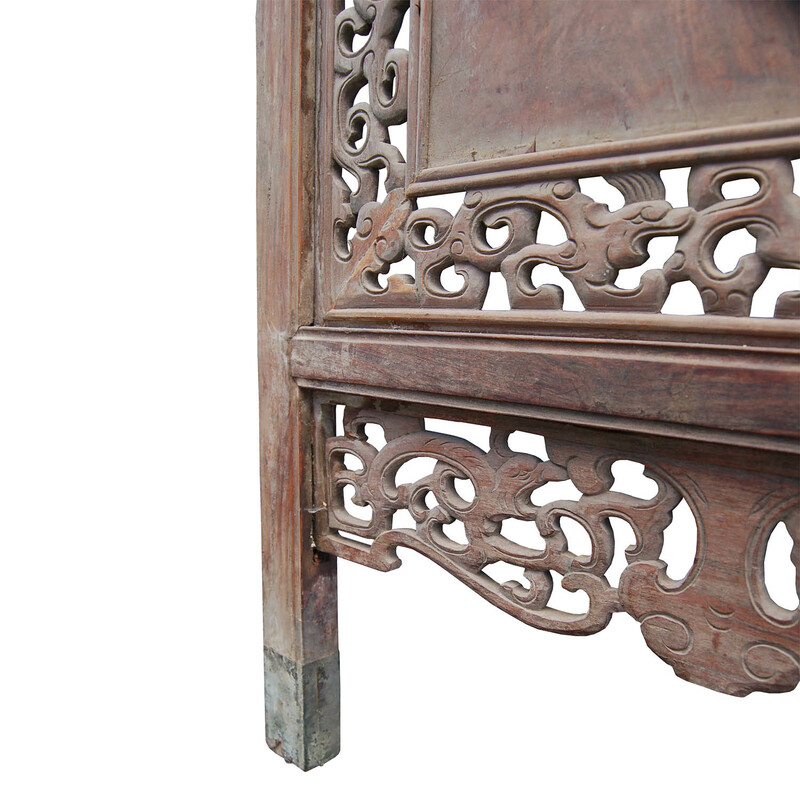 With its carved motifs and design, one might be able to guess where this set of the screens might have originally belonged to. Chinese furniture peaked during the mid and the late Ming period mostly for its literati flavor and superior construction and design. Many scholars and alike took pride in owning tasteful furniture pieces. One can find this trend in many Ming and early Qing paintings with vivid details spent on furniture pieces. 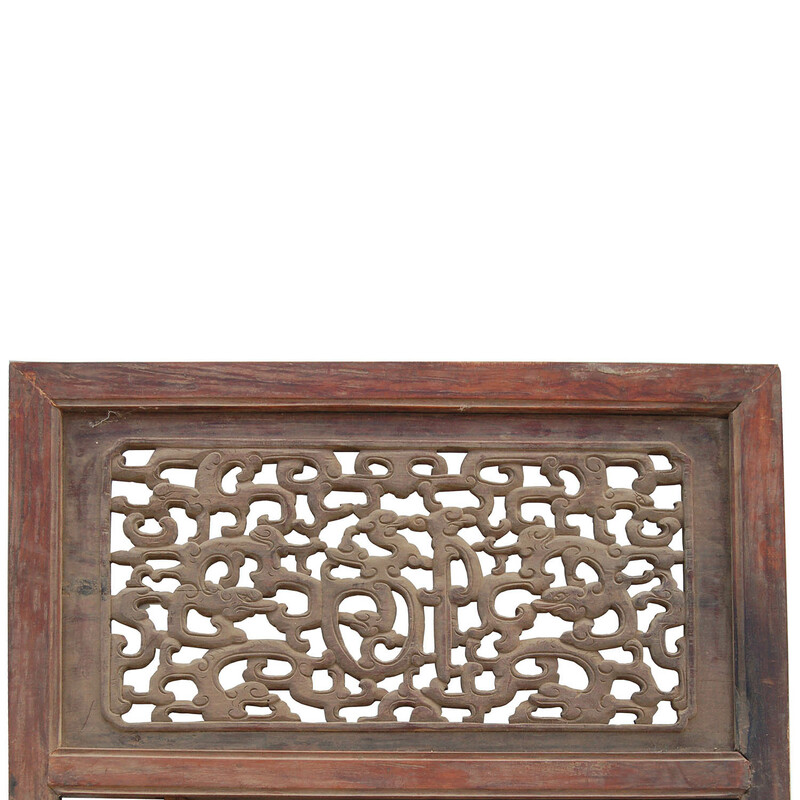 One specially finds lots of examples of furniture pieces through Chinese architectural woodwork. It totally makes sense as the furniture is the companion of a living space and that one often is driven with creativity in a beautiful and harmonious environment.